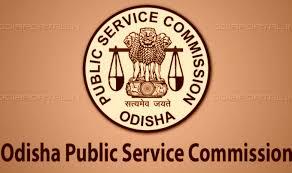 Out of the total 500 number of vacancies mentioned above, the reservation of vacancies in respect of Sports Person, Ex-Servicemen and Persons with Disabilities are given below. Candidates belonging to PWD, Ex-Servicemen and Sports Persons shall be adjusted against the categories to which they belong. A candidate must have attained the age of 21 (twenty one) years and must not be above the age of 32 (thirty two) years on the l" day of January 2018. However, those who are within prescribed age limit as on l" day of January 2013, l" clay of January 2014, 1st day of January 2015, 1st day of January 2016 & l st day of January 2017 shall also be eligible to apply i.e. he/she must have been born not earlier than 211d January 1981 and not later than I st January 1997. Age relaxation for candidates in different categories for availing relaxation and reservation benefits will be as per Government Rules prescribed for the purpose.